What are your goals for 2019? It’s the right time to list them out, as you have the entire year ahead of you. If your goal is to buy an RV park, there’s certainly plenty of time to do so. But you’ll have to start today. There’s a sign on our office wall that says “Time Kills Deals” and that essentially means that time is not your ally. We are all in a constant sense of urgency, and you can never have enough time to meet your obligations to yourself. So get out that pen and paper and start making complete lists of what you want to do different in your life this year, and see if buying an RV park is the right option for your investment portfolio. With the stock market collapsing and another Great Recession being forecast by most economists, there’s no time to lose in diversifying your income streams and making an RV park an important part of your financial solution. If your goal is to buy an RV park in 2019, the logical question would be “how do I realistically do that”? Well, here are the correct steps to make it a reality and not just a fantasy. Before you embark in risking your money in any type of endeavor, you owe it to yourself to know as much as you can about it. Warren Buffett once said that “risk comes from not knowing what you’re doing” and that’s 100% correct. Read everything you can on-line. Take our home story course. Research RV parks that are near you and talk to current owner/operators. There’s no such thing as “too much information” for smart investors. Model out what your dream deal would look like on paper. You know how much you have for a down payment, so multiple that by 5 (which equates to 20% down). You also know what return level you need to hit your financial goals. This will guide you to the basics of the size of RV park and cap rate you need. Most buyers like to own properties that are within about a 5-hour radius of where they live, since that gives you the freedom to drive there and back in one day, and that provides most buyers a huge feeling of control. If your goal is to move into the RV park you purchase, however, then there is no limitation on the location other than where you want to relocate. For most RV park buyers, you will use several methods to find deals to look at. An important part of this exercise is to make a complete list of brokers who specialize in RV parks. You can find a list of them at RV Park Store Brokers page, as well as at Loopnet.com. Many of these brokers have “pocket listings” which are off-market deals, so don’t just call them for “listed” properties but dig deeper. The other four methods are on-line deal listings, direct mail, cold-calling and dropping by RV parks and talking to owners. Anybody can be a “deal killer” – criticizing every offering and finding a way to decline it. However, that’s no way to go forward. Instead, look at every deal and figure out the plan under which you might buy it. Perhaps it’s dropping the price, or maybe assuming cutting costs. Or consider the impact the seller financing with a lower amount down. If you look at every deal using creativity and problem-solving, it will train you to be a deal-maker, and it may also help you unlock the solution to more difficult deals that you can buy at really low prices. The worst thing you can do as an RV park buyer is to hold back on making offers. Every deal that you see that fits your criteria should be given an honest, accurate offer – regardless of what the seller is seeking. You would be surprised at how many RV parks we have purchased over the years at 50% less than asking price or with ridiculously attractive seller financing (like no payments due for the first three years). Some people ask prices far higher than they expect to receive, and others lose hope of hitting their price at some point and just go with the first offer they get (particularly if they have a serious health issue or other pressing event). Be proud in making your offer – regardless of what it is – because you’ve given the deal fair consideration. If our price is massively lower than what the seller wants we often say “tell me what I’m doing wrong here … this is the net income I come up with and this is the price at the market cap rate”. That often gets the dialogue going with the seller. It makes no sense tying up deals you have no real interest in buying. However, it makes complete sense to tie up deals that might have potential. The way a good contract is structured, the buyer has a due diligence provision, as well as a financing contingency. This effectively gives you two outs in the deal should you decide not to move forward. In the diligence out, you simply get your earnest money back and, assuming you have not performed any third party reports like Phase I environmental, you didn’t lose a penny. In the financing out, you would lose any third-party costs that you accrued, but you still have the freedom to walk away. Make sure that your contract never required you to waive any diligence period, financing period, or has language of “specific performance by buyer”. Benjamin Franklin once said that “diligence is the mother of good luck” and that’s 100% correct. Those RV park buyers who use great diligence efforts rarely have a problem and those who don’t are doing nothing more than gambling with their money. The good news is that the correct steps to effective due diligence have already been established and all you have to do is carefully follow them. The other good news is that good due diligence practically removes all risk. Financing RV parks is not as difficult as it sounds. There are basically three options: 1) seller financing 2) bank financing and 3) CMBS financing. Many RV parks are bought and sold utilizing seller carry and that helps the buyer avoid the entire loan application process, legal fees and credit questions. You rarely see an RV park deal not be able to obtain financing. At the highest end of the spectrum, you can hire a “capital consultant” (formerly “loan broker”) to help you obtain the debt you need. Many RV park deals die due to lack of effort. The buyer just assumes the seller won’t drop the price farther once they uncover problems with the property that requires a price concession. Nothing could be further from the truth. Many, many sellers are willing to drop the price if you simply ask them. 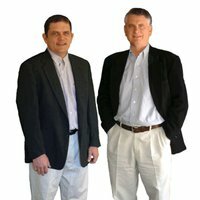 We have been successful in reducing the price on properties following due diligence by hundreds of thousands of dollars. But you have to ask. Sam Zell’s ELS is the largest RV park owner in the U.S. And the business has been built on the premise that a good deal has a healthy balance of risk and reward. His motto is that a deal with little risk and high reward you should always buy and a deal with little reward and high risk you should never buy. The reward has to exceed the risk to make any RV park attractive. If you want to buy an RV park in 2019, this methodology will get you started. It’s a new year and a new opportunity to diversity your time and money into a better form of investment. 50% of American households have pets. Many RV owners love their pets. But others don’t. There’s a careful balance required to make sure that everyone remains happy and has a pleasant experience at your RV park. The first step in becoming a “pet friendly” RV park is to understand its importance to your business. Those who have pets are not going to leave them behind as they travel in their RV. And they also are some of your best customers, as they stay for longer periods of time having no reason to hurry home. Also remember that all the other RV park owners out there know this, and they will be more than happy to steal your customers if you let them. Ideas are all around you, if you just pay attention. Any trip around town or google search will uncover new ideas to make pets and pet owners feel more at home. Having a bowl of water near the door and a jar of pet treats sets a good tone. Or you can have a “bark park” – a place where dogs can run free inside a fenced park enclosure, and offering ample, shady seating for the owners. Or maybe selling pet essentials like dog and cat food, leashes, etc. in the RV park office/store. The ideas are limitless. You can never let pets run free inside the RV park. Ever. All pets must be either 1) on a leash or harness 2) inside the RV or 3) inside a pet area such as the “bark park”. You can never let dogs bark and disturb the peace and quiet of your other customers. Dogs can be seen but not heard. Dogs are never allowed to be aggressive with other customers. If a customer has a menacing large dog, you are better off telling that customer to leave than letting them run off five of your good customers. That being said, you rarely if ever see an RV owner that rude. 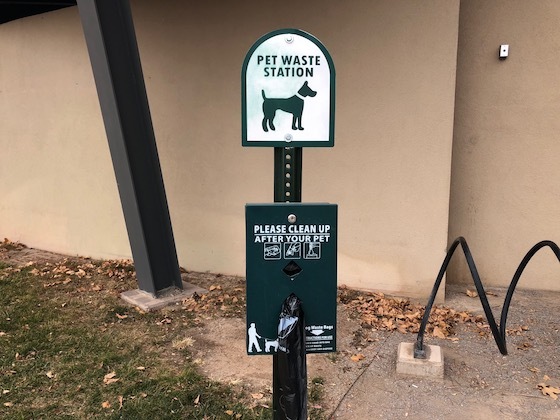 Any animal waste that the owner has left behind must be immediately cleaned up by RV park staff. Never forget that there is danger when you mix humans and pets (particularly dogs). Larger dogs can inflict painful bites and worse, so you have to make sure you are protected financially. Proper insurance gives you the ability to not have to worry. You definitely will get sued if a dog attacks a customer, so insurance covering that is absolutely mandatory. Pet-friendly RV parks often outperform those that are not. There is little capital cost required to make the conversion. But make sure that you adequately protect yourself and your other customers. If you’re looking at buying an RV park – or refinancing one – at a cost of over $1 million, then you should definitely contact MJ Vukovich at (612) 335-7740. He’s one of the leading capital consultants in the U.S., and can create your loan package, create a list of potential banks, contact these lenders and meet with them, negotiate the loan, and push it to completion – all for around a 1% fee. He can also help you tap into the CMBS debt as well as new Agency (Fannie Mae and Freddie Mac) products. MJ is who we use on our loans, and his track record is impeccable. He only charges a fee upon the successful completion of your loan and closing of the deal, and all initial consultations are complete free. Everybody loves the beach. But there are some attributes that come with the ocean which are more unpleasant. So what are the things to think about when evaluating coastal RV parks? We all know that hurricane season is as predictable as winter, summer and spring. And with the advent of global warming, the number and ferocity of such storms is growing every year. If there was ever a time to be concerned about the potential danger of hurricanes, then we’re in that period now. Remember that 7 of the 10 largest natural disasters in world history were U.S. hurricanes. Hurricanes bring to bear several different damaging forces of mother nature at one time. There’s flooding, tidal surge, and high winds. And none of those factors work well with RV parks. Just last year Hurricane Harvey completely wiped out some RV parks in its path. RV parks do have a significant advantage over all other types of real estate when hurricanes hit. And that’s because the RV park owner’s investment is all about land and that is not permanently damaged by storms. Meanwhile, apartment, retail center, self-storage, office – virtually every other type of investment – is wiped out. That’s the benefit of owning land instead of structures. Another plus regarding RV parks is that they are the #1 source of replacement housing for all the families that are wiped out in these weather events. In Hurricane Katrina – one of the most damaging hurricanes in U.S. history – the government purchased 500,000 RVs to house those who were homeless. So RV parks typically don’t lose their income stream for long. Coastal RV parks have good and bad attributes. Understand the risks and do your best to mitigate them. How Much Charm Does Your Office Have? This is a photo of one of our RV park offices. Pretty cute, right? But underneath the shutters, paint and flowers is just a frame building. Charm is something that owners create using established techniques to create the ambiance of warmth and welcoming. So how can you build charm for any RV park office? Nothing brings charm to life like pots of flowers (or gardens of flowers if you have larger spaces). Flowers are inexpensive, and bring tasteful color in every application. You can buy an impressive hanging pot of flowers at Walmart for $20 and it will last the whole season. That is huge bang for the buck. Henry Ford thought that the first step to improve the attitude of his workers was to paint the factory. It’s a fact that a fresh paint job is a terrific way to impress your customers. It sends a message that the property is well-maintained. White mini-blinds are a great invention, as they always look great from the outside of the structure. Nothing looks worse than colored drapes that clash with the color of the buildings (like purple curtains inside a blue building). Best of all, mini blinds only cost around $10 per window. Shutters are essential to bringing any office up to its full potential. Without shutters, the average office looks like it’s missing its eyebrows. Once again, the good news is that vinyl shutters are very inexpensive – about $50 per pair. And they are extremely easy to install (assuming you have an electric drill). Any great office should have professional-grade signage – not sheets of paper with handwriting with a marks-a-lot on them. You can get any signs you want from Fast Signs or similar vendor at very low prices. We prefer white vinyl letters on green or blue aluminum. Having a “closed” office sends a bad message. Instead, Instead, you should have signage on the door that welcomes the customer and instructs them what to do after hours. For example “Sorry but we’re not here right now. If you’re checking in, then go ahead and pull into any vacant space and let’s settle up in the morning. If it’s an emergency call my cell at (123) 567-8910”. And put the office hours clearly in view so customers know when to come back to talk to someone. It should go without saying that the approach to the office should be free of debris and litter and well mowed. However, we see many that have trash on the ground and grass that’s a foot tall. This is your time to make a good first impression – not ruin it. 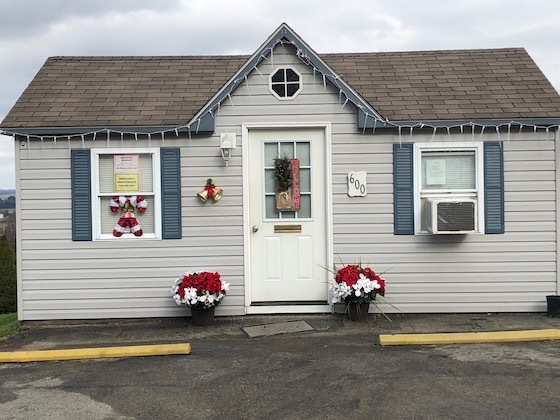 If your RV park office does not have ample charm, then make it happen. This list will get you started. Your customers will appreciate the end product. Some parks are open year-round while others are only open parts of the year. Any RV park that is not open 12-months is called “seasonal” and that means that you have to give it greater scrutiny in performing due diligence. So what are some of the things you have to know about seasonal RV parks. What makes some parks seasonal as opposed to year-round? In one word: weather. Some RV parks are based on warm-weather activities and cease to be attractive to customers in the cold months. 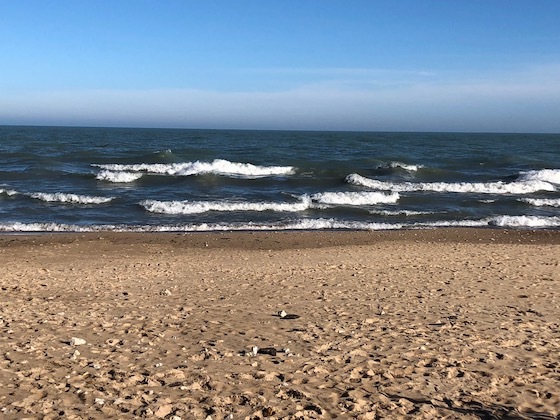 For example, an RV park in western Michigan that caters to the beach, sand dune rides, and the quaint charm of small town activities becomes a ghost town when under a foot of snow. As you can guess, seasonal RV parks are almost exclusively located in the north. How do you budget for parks that are closed part of the year? In a word: carefully. It means that you can’t just take a certain period of time and annualize it. So you have to break down two separate features: 1) the P&L during the open season and 2) the P&L during the offseason. It’s possible that the RV park will actually lose money during the “closed” months after subtracting insurance, taxes, payroll, etc. What happens to residents who live in them full time? Some RV parks don’t close all the way in the offseason – they just stop new customers from coming in. 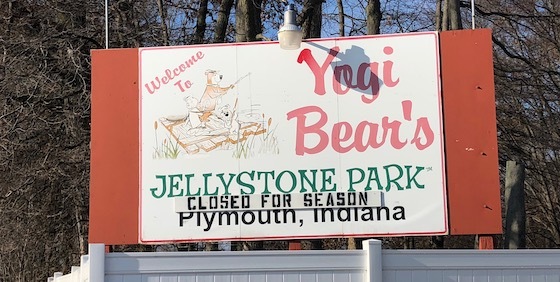 They may still allow those who live in park models or mobile homes on property to go about their regular life, and that gives the park income during the off-season. Meanwhile the office and all amenities remain closed until the weather gets warmer. Is there a lesser value on these properties? RV parks are bought and sold based on net income, so the fact that the park is seasonal has no actual impact on price, except for the fact that the revenue is reduced due to the closed months. In fact, there are some extremely valuable properties what are seasonal. Since the best parks are those that are based on destinations, and there are some highly in-demand destinations in the northern states, it’s not uncommon to find that these properties are greatly in demand. Seasonal RV parks are a unique breed and always worthy of investigation. These tips will get you thinking in the right direction, and may unlock some great investment opportunities.